In this post, I have written about a Vashikaran Mantra, which is said to cast an attraction spell that is so powerful that it is capable of enchanting even a Swarg Ki Rani or the Queen of Heaven. This is not to be taken in the literal sense, it means a most beautiful, attractive and alluring woman even a much sought after beauty queen. In this post, I have described one the attraction experiments, which are performed using a famous Mohini Mantra. This experiment is performed for casting a love spell to bind any desired woman, including an ex-lover for the motive of love, friendship and marriage. In this post, I have described the working of a Siddha Shabar Healing Mantra, which infuses Sesame Oil[ Til Ka Tel] with the paranormal healing powers of the Mantra to treat and heal burns. The Shabar Mantra is from the Kamahya Tantra and calls upon Lord Narasimha to heal the sufferer. Soham सोऽहं or Hamsa हंसा Mantra is considered to be one of the most potent of the Hindu Mantras to progress upwards on the Spiritual Path. This Mantra, which is said to be a contemplation on the Oneness of the Self with the Over-self can be compared to the mysterious Hum Sound or Low Frequency Vibration that has puzzled scientists all over the world for the past many decades. In the post, I have written about a Siddha Vashikaran Mantra, which is said to make a man enter the heart of a desired woman for the motive of love or marriage. This Vashikaran Experiment for casting a love spell on the desired lover has to be practiced, while passing urine in the toilet. Taking Mantra for granted thinking it is only words. All should take Mantra as Devta Swarup that is a Mantra is comprised of Dev's powers. 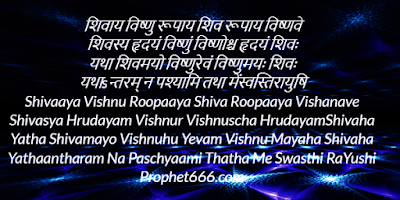 In this post, I have written about a rare and secret Siddha Gorochana Infusing Mantra, using, which many different paranormal experiments, including those related to Vashikaran, Sammohan, Stambhan and Vidya Prapti can be practiced. In the post below, I have described 7 easy to practice paranormal experiments using Gorochana. There are many people who conduct their business from their own office, such people often display their own photographs in their office. In this post, I will explain how to position your own photograph and business name or logo in your own office as per Vastu Shastra and Feng Shui, so as to get name, fame, prestige, publicity and prosperity. In this post, I have described a couple of easy to practice Tantric uses of the quills of the porcupine in Uchchatan or eviction and Videshan or division experiments. The quills or spines of the porcupine or Sahi Ke Kaante as they are called in the Hindi language have been attributed with certain strong magical and paranormal properties by Tantriks and practitioners of the occult in India. The Voodoo Attraction Spell, described by me in this post is known as the Maha Vashikaran or Maha Mohini Mantra Prayoga. As the title of the Vashikaran Mantra “Maha” or “Great” suggests, this is as per the writings of the Vashikaran Tantra, a most powerful and effective Occult Spell, which can be cast to bring any longed for man or woman under a most potent and effective Love Spell. The intense debate on the respective strength and powers of Shiva and Vishnu has always be a sore point among the followers of Shiva and Vishnu. There are various stories, contained in Hindu Mythology about the triumph of Shiva over Vishnu and vice-versa. These myths have most probably originated from the age old rivalry between the followers of Shaivism and Vaishnavism or the Shaivites and Vaishnavites. In this post, I have written about a Mantra to drive away and get rid of Mosquitoes, in order to prevent then from bothering and biting you. Over the past many years, I have given some special Mantras to get protection from all kinds of pest, parasites and insects, however, this is a special standalone spell, which is said to be specific to Mosquitoes. There are many Aghora Panth Tantriks and black magic spell-casters who cast malefic and dangerous spells to entice the wife of another person, including the wife of an enemy, rival or someone they want to destroy by striking at the very root of his life by casting a Vashikaran Love Spell upon his wife. 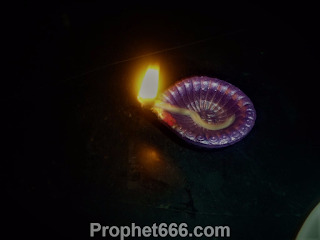 In this post, I have described one such Aghori Vashikaran Mantra Experiment, which is practiced by some highly evolved Siddha Sadhaks of the black arts in India. A house, which has a toilet in the Aagneya or South East Direction is as per Vastu Shastra said attract impure and harmful energies and vibrations. As a result the over-all atmosphere in the house is one of over courageousness or one of fear, this mostly affects the male members of the household. The Aagiya Vetal or Betal Mantra Sadhana for invoking and making this mystical and unseen being manifest, is one of the more talked about Tantric Mantra Experiments. There are some different versions regarding the looks and appearance of this being, the most credible one is that of a mystical being engulfed in fire or fire and flame emitting from its body or aura. Two easy, yet most beneficial and effective Mantra Experiments using the most powerful Om Hreem Namah Mantra have been described by me in this post. These Mantra Experiments are for getting any wish or desire fulfilled and for casting a Vashikaran Love Spell on any longed for man or woman. 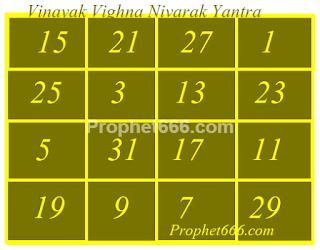 In this post, I have written about a Satvik Guni or Pure Mantra for getting any coveted thing, like a car, house, money or jewelry or fulfilling any longed for wish, like getting a job, promotion in the office, becoming free from diseases or even find a suitable boy of girl for marriage. In this post, I have written about a couple of simple and easy to practice, yet most effective remedies to remove paranormal and unseen problems like Gruha Kalesh, Nazar Dosh and Shatru Dosh. 1] This remedy is dedicated to Lord Shiva and should be performed faithfully for 21 consecutive Mondays. 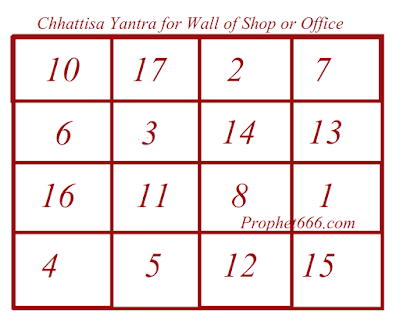 In this post, I have described the easy method of utilizing the positive and helpful powers of the famous 15 Ka Yantra to make a Business more prosperous and make it grow by increasing the turnover and the profit margin. 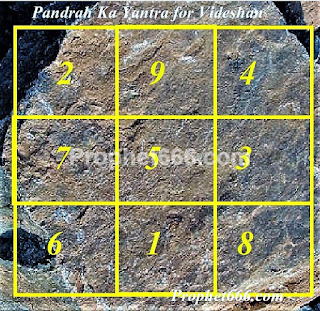 This Vyapar Vridhi Pandrah Ka Yantra is a most beneficial and effective good luck attracting charm for shops and offices. A very useful and effective Mantra having multiple uses has been described by me in this post. This Mantra is free from Siddhi Sadhana and the use of any kind of specific rituals or method. Any person can chant the Mantra for the purposes of becoming free from sins, averting untimely death, getting money and luxuries and freedom from forced confinement.